I don’t need to tell you how cute basket bags are (really cute). Like a popsicle, wearing one feels like the perfect summer treat. Unlike a popsicle, you can carry it around the city without developing an urgency to eat it before it melts down your arm. But here’s the secret to basket bag success: it needs to be functional and, if possible, sturdy too. Take it from the girl who re-secured the handles of her beloved basket bag with gaffer tape and safety pins this week only to have to carry it home like a clutch after it broke again. The Lilleth Bag from Cult Gaia has both of these properties, which is why it’s so special. Merged with its 60s-esque accordion shape, which folds completely flat for ultimate mobility, it’s unique, practical, and damn good looking. I love this, perfect bag! 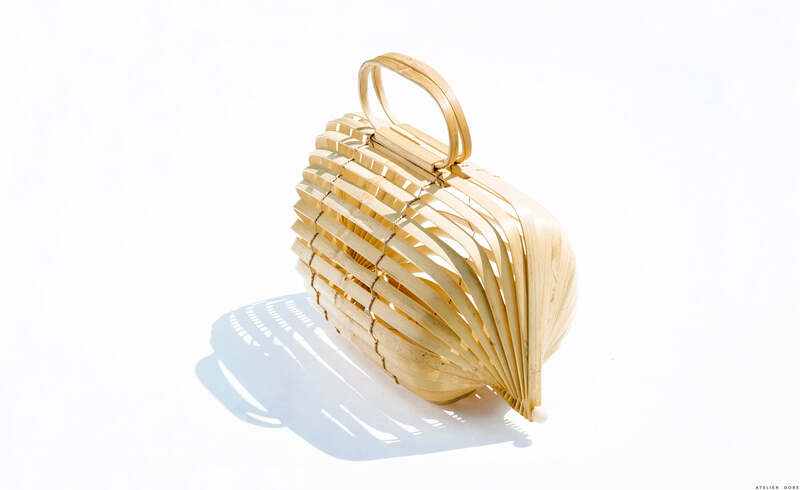 I love this basket bag look , it reminds me of Grace Kelly in those glamorous 1950’s films . The movement in design of Chinoiserie of the 1950/60s is here in these bags . Elegance! Cute! Is this true love or a promotion/product sponsorship? Curious before I order! I bought this basket at an antique store where I was told it was a pigeon carrier.